I took my second exam today (series 63) and rocked it, so I continue to get to keep my job for the time being. That is until I take the series 55 in a few weeks. But that one will be the last one. So it's the home stretch for me, baby! Then I get to look forward to just the 14 hour workdays and no studying. That actually sounds pretty good to me right about now. Needless to say, it's been a busy couple of months. But there's always time for burritos and beer - especially when it's for a good cause. Please join us at boloco Pearl Street on Thursday, June 9th, as we enjoy burritos & brews to raise funds for Team Boloco who will be riding The Prouty on Saturday, July 9th. The Prouty is a 30/50/100 mile bike ride to benefit the Norris Cotton Cancer Center at Dartmouth-Hitchcock Medical Center. Boloco's head chef, Jason Hutchinson, will be preparing boloco favorites in addition to some newly inspired flavors yet to hit the menu! 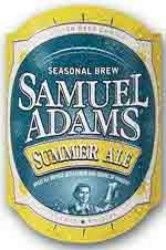 And our good friend, Todd, from Samuel Adams Brewery will be pairing our burritos with the Sam Adams Summer Styles Variety Pack. Finally, Food Should Taste Good will be on hand sampling a variety of chips, including their addictive Cheddar flavor! While the portions will be on the "disturbingly small" side, we promise you'll leave with a belly full of snacks, beer, and burritos. What could be better than that? 0 Response to "Charity: Burritos and Beer - 6/9"